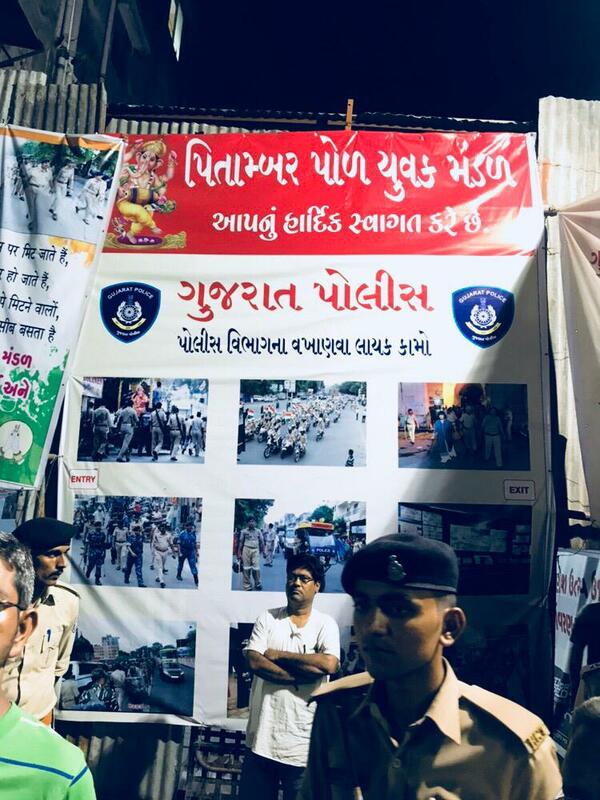 This year Ganesh mandals in Vadodara took eco friendly initiatives in making and decorating Ganesha idols in ongoing Ganeshotsav festival. 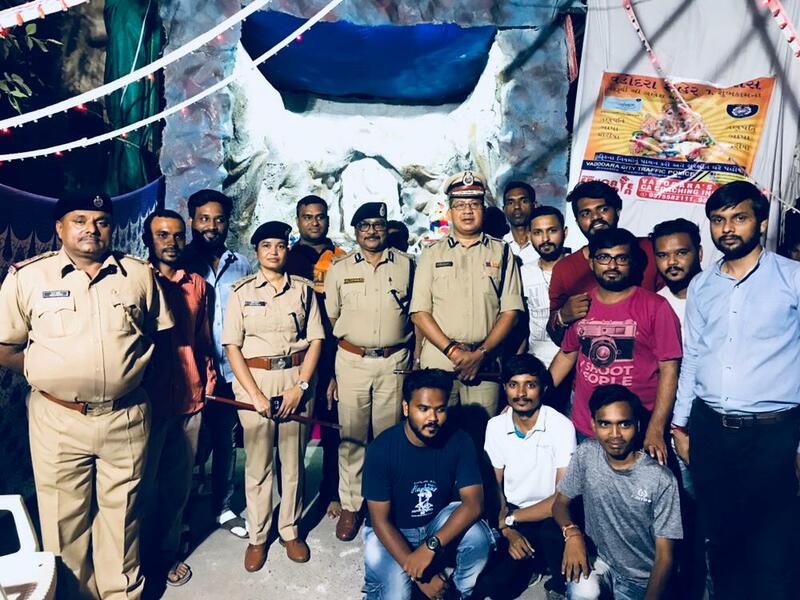 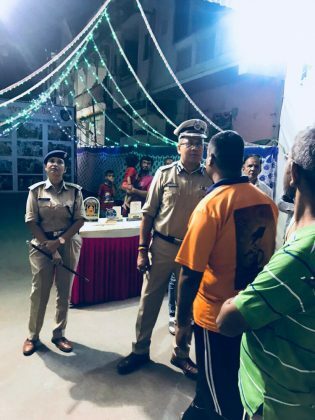 Pitambar Pole Yuvak Mandal in Fatehpura area installed Ganesha made from Alum (Fatakdi) and also displayed the work of police as part of the decoration. 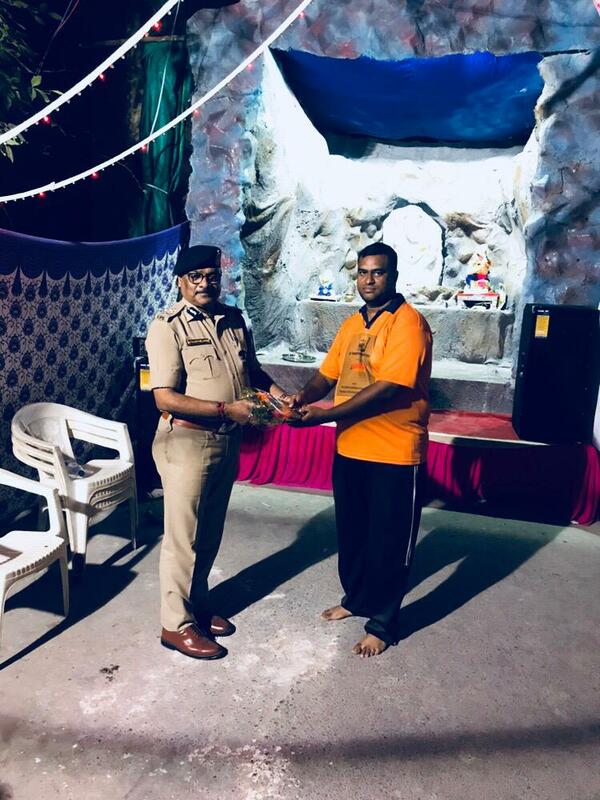 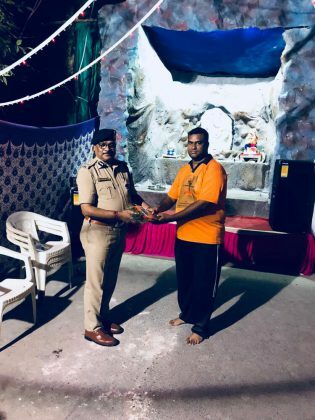 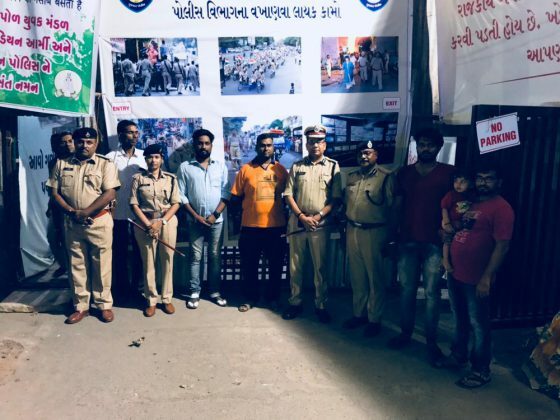 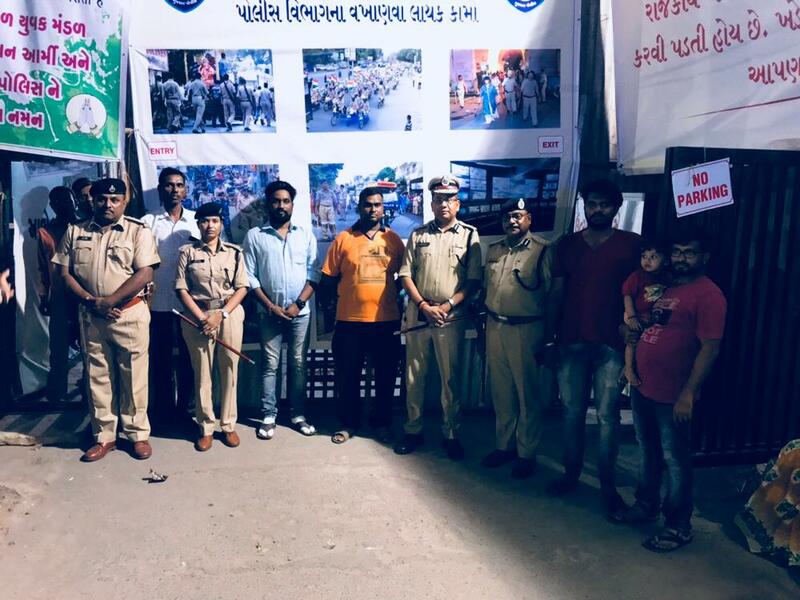 Vadodara police commissioner Anupam Singh Gehlot, Joint CP Kesrisinh Bhati, DCP Zone 4 Saroj Kumari and team visit the pandal and appreciate the initiative by the mandal. 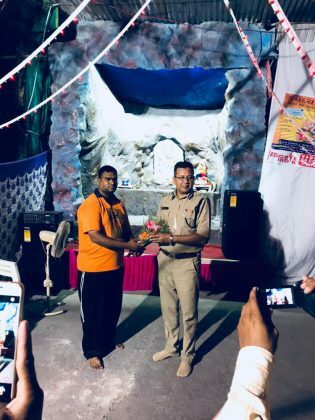 They also applaud the decoration on police work by the mandal and felicitate them.